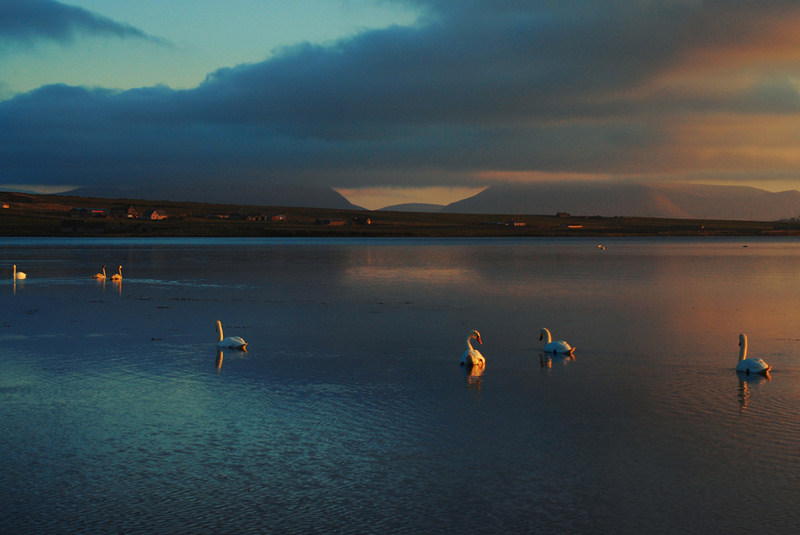 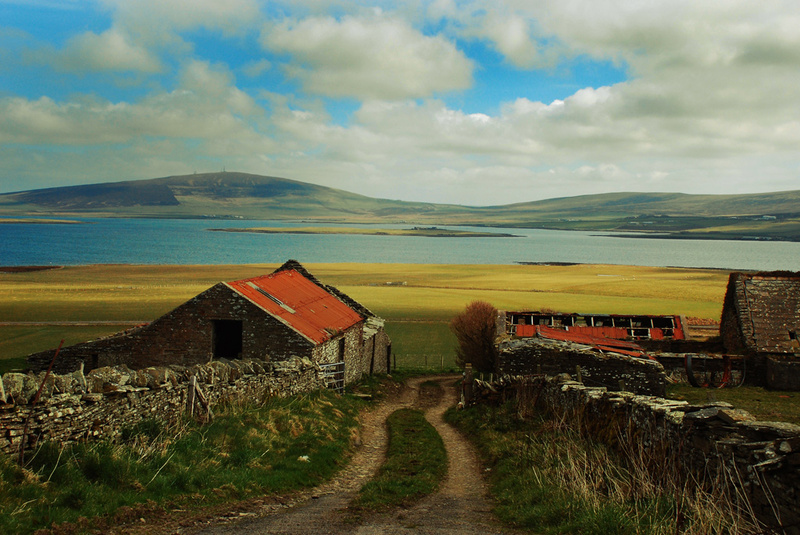 We call it Orkney, although it’s not really an ‘it’ but a group of islands. 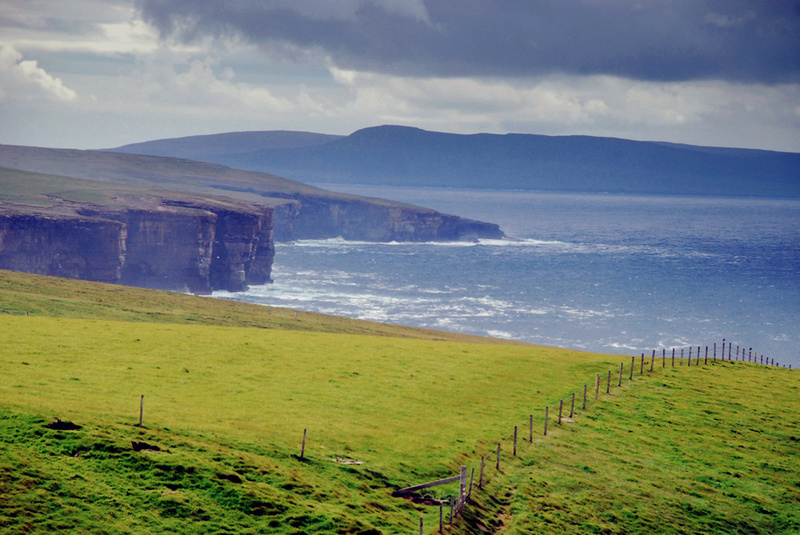 From the air you can see how green they are, and gently contoured, with black cattle in the fields in summer, and white water on winter shores. 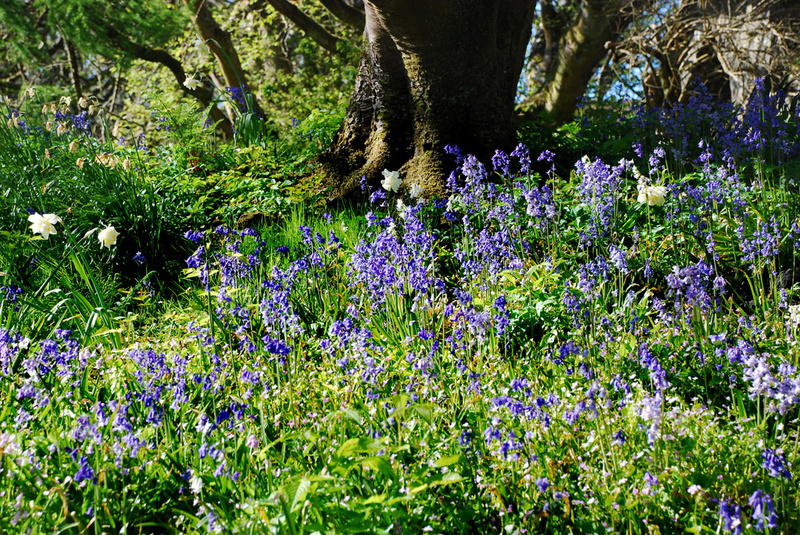 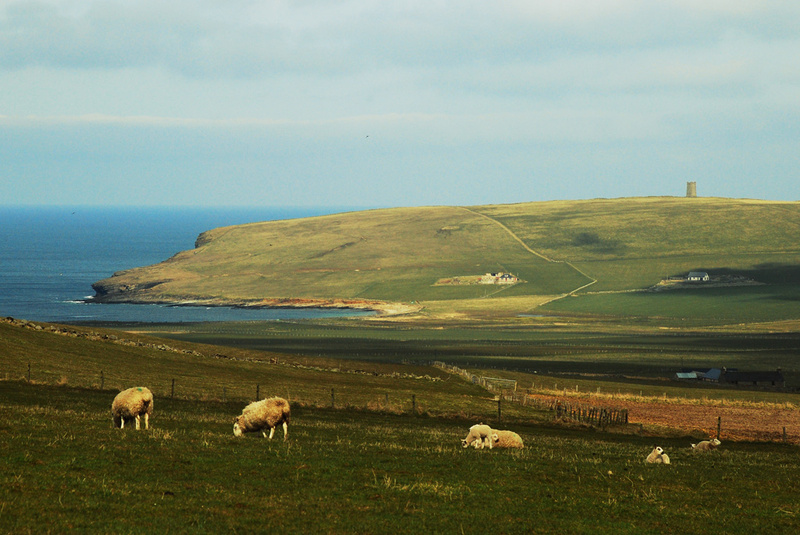 The landscape makes a contrast with the high mountains and long sea lochs of the Scottish Highlands; and Shetland to the north has sharper edges and steeper hillsides. 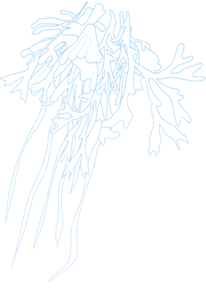 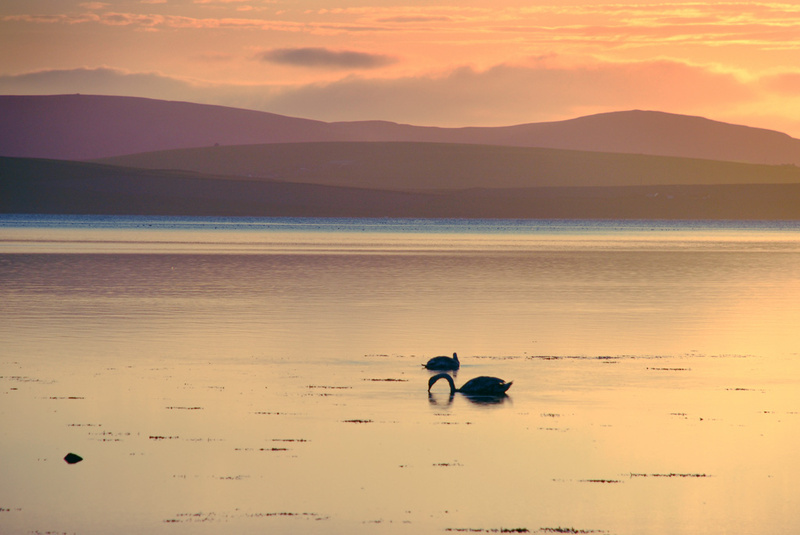 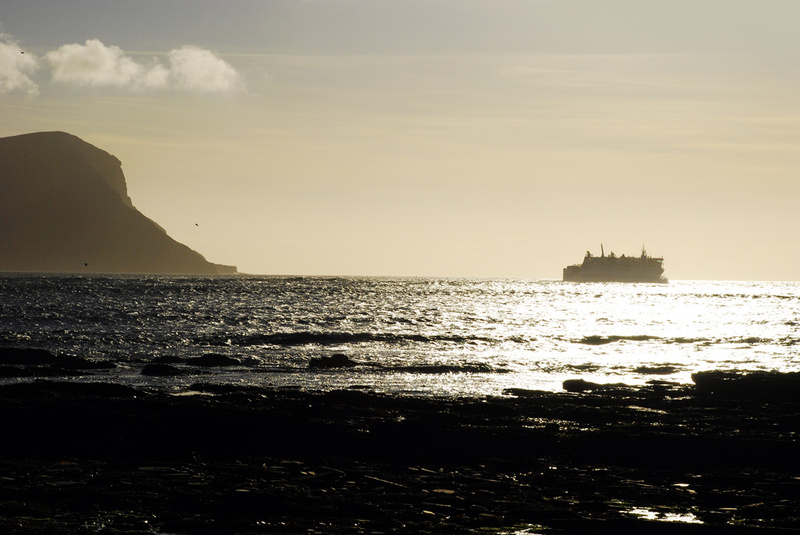 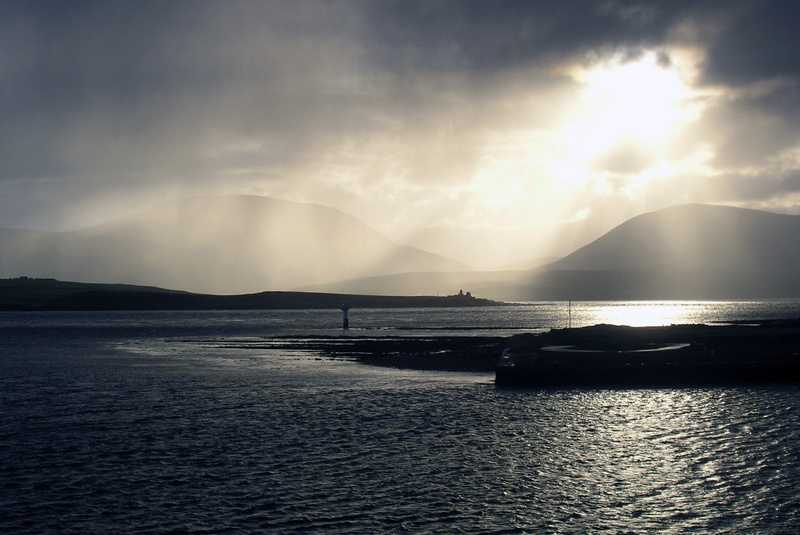 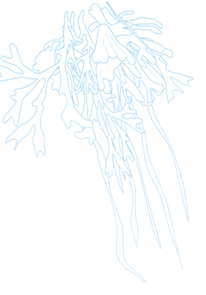 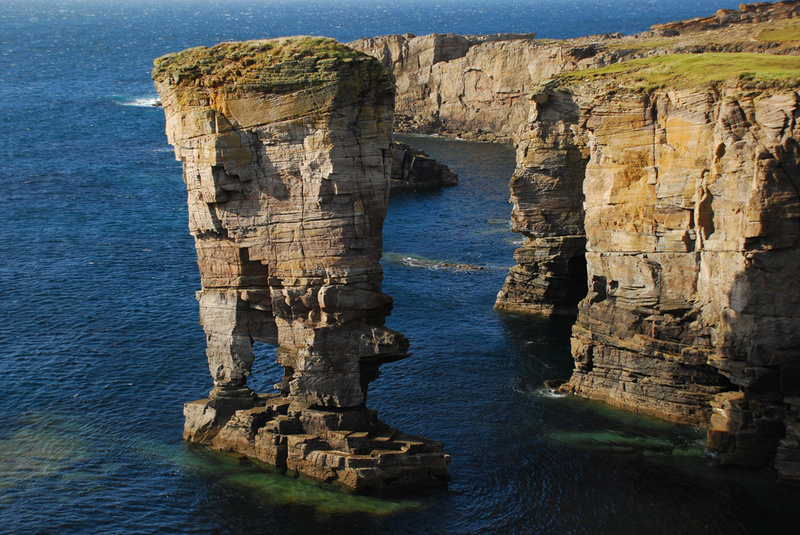 The largest Orkney island is called the Mainland, and you can drive from east to west in an hour or so, and from north to south in less than that. 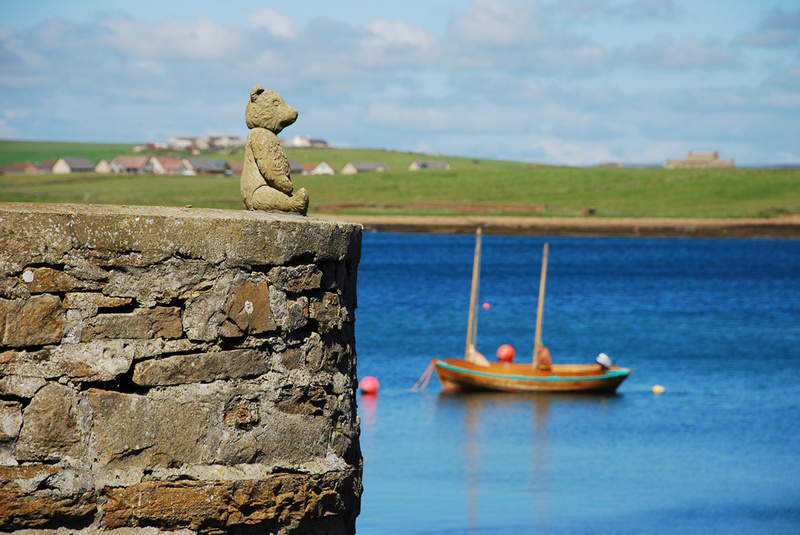 This is where you find most of the 20,000 population, and the two main towns of Kirkwall and Stromness. 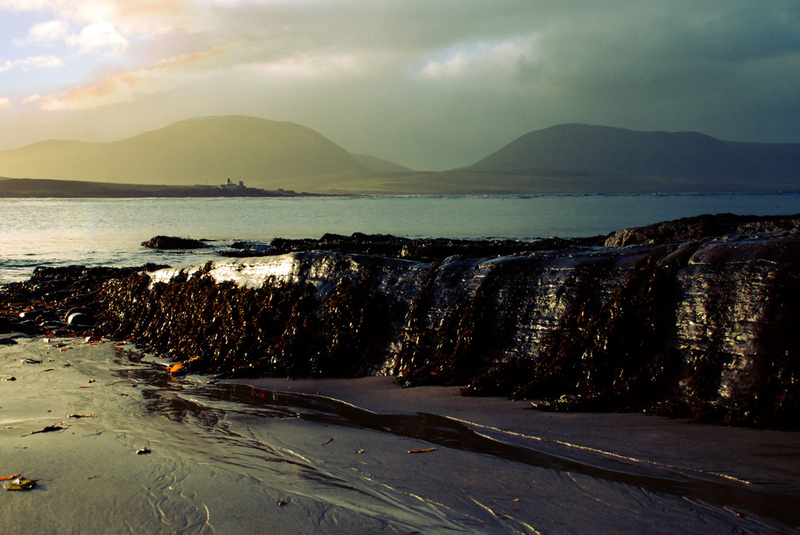 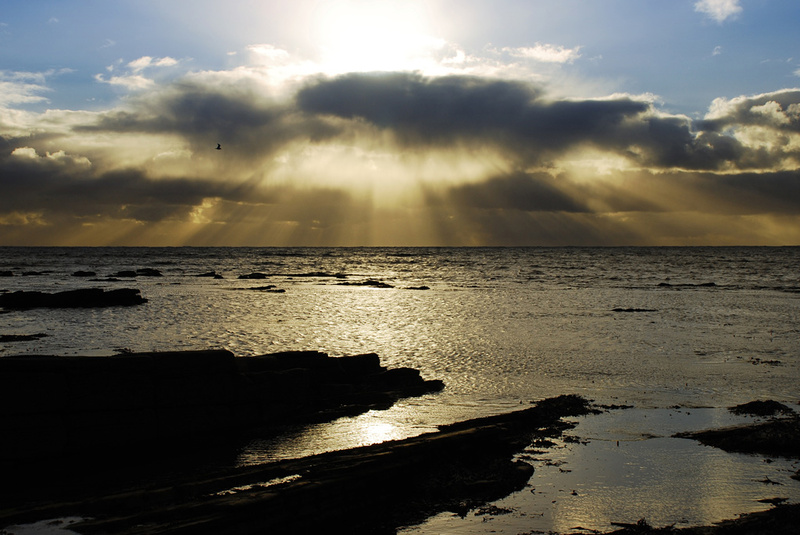 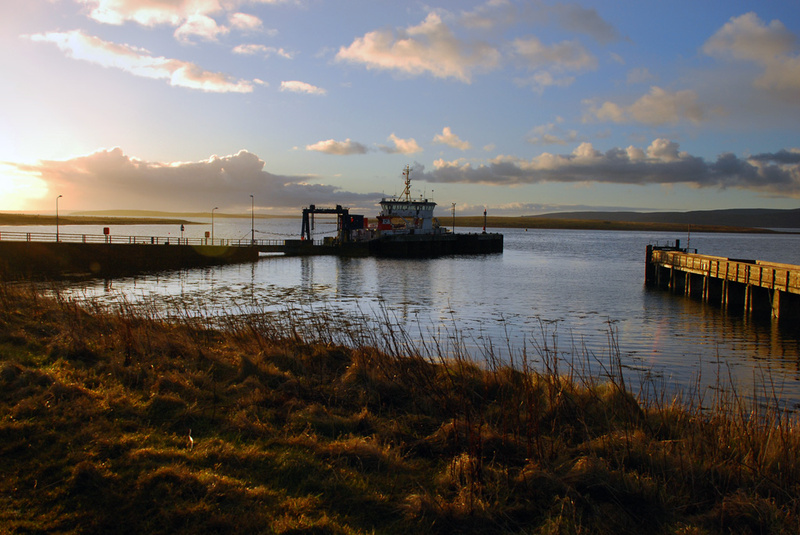 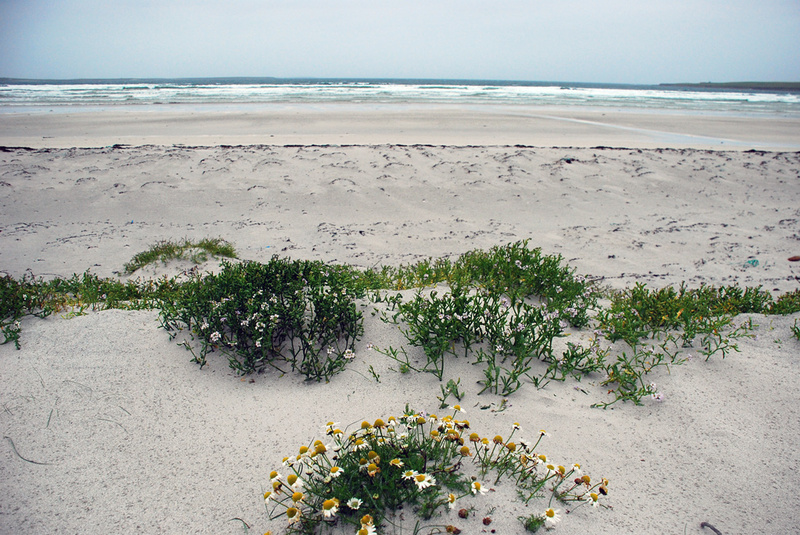 The Orkney Mainland is divided into two sectors, East and West. 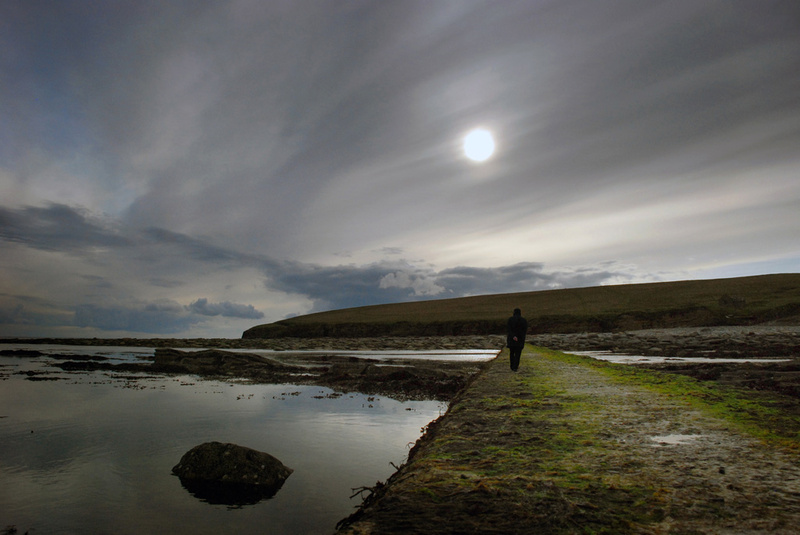 To the East is the route across the Churchill Barriers, built in wartime to protect the great anchorage of Scapa Flow. 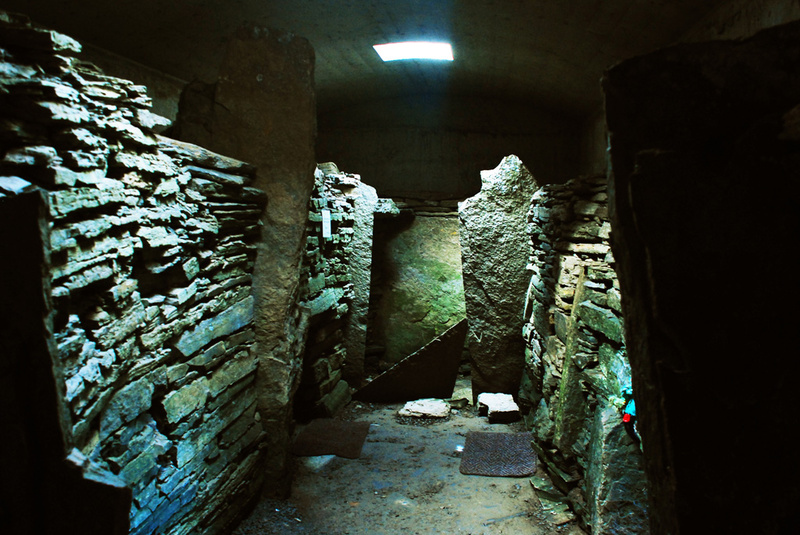 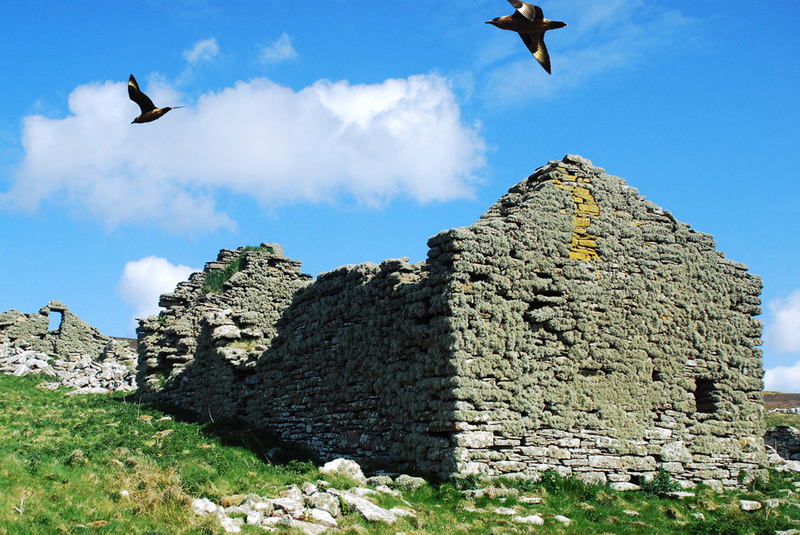 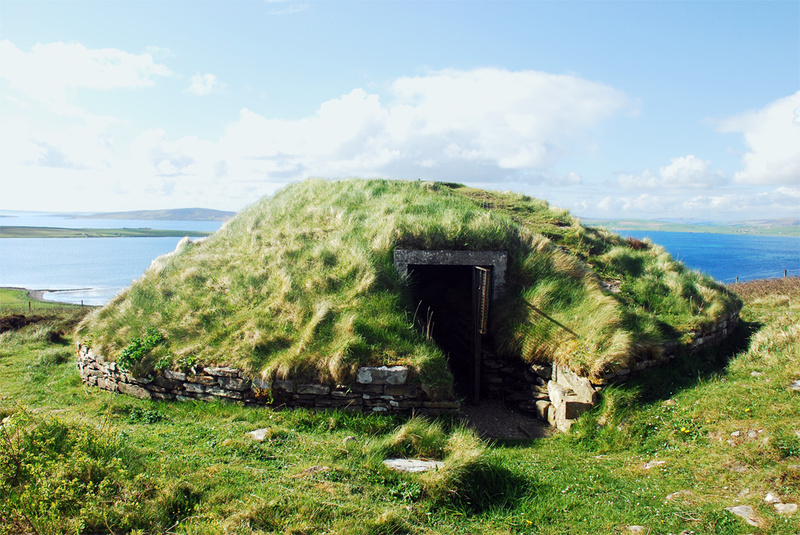 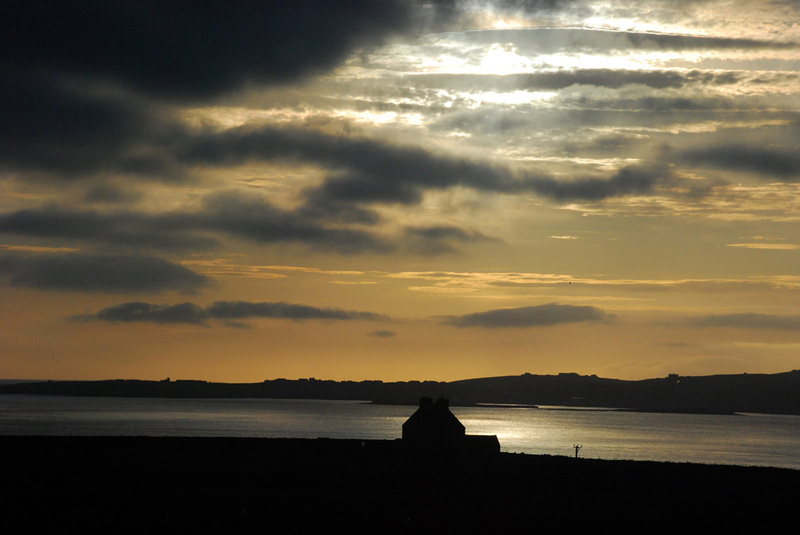 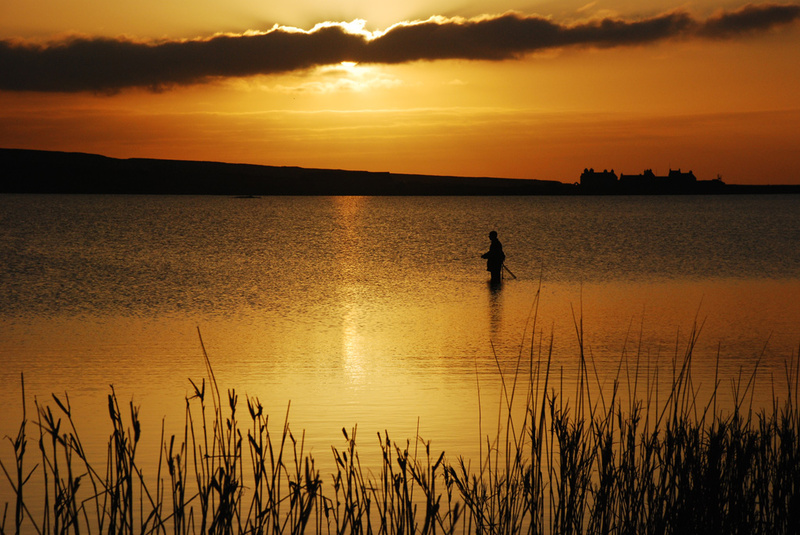 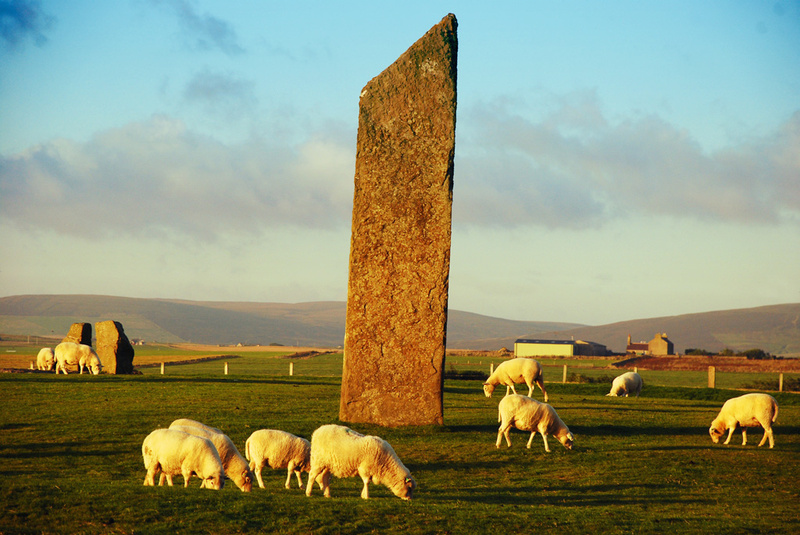 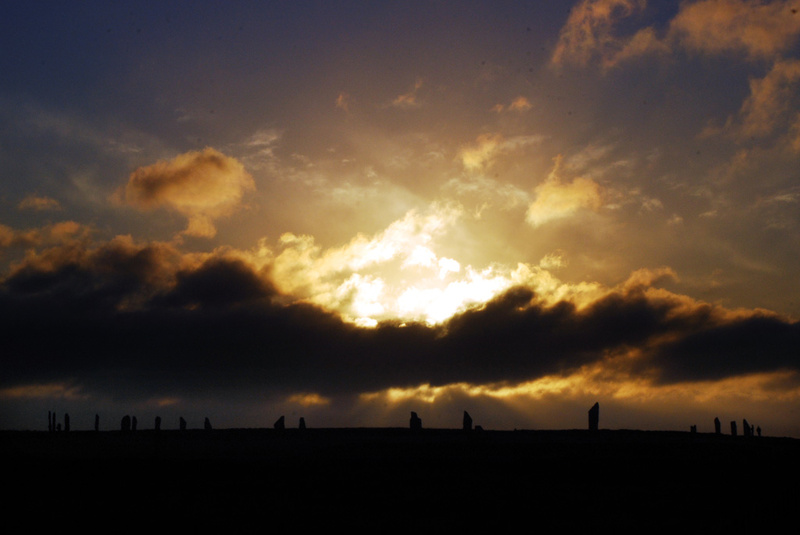 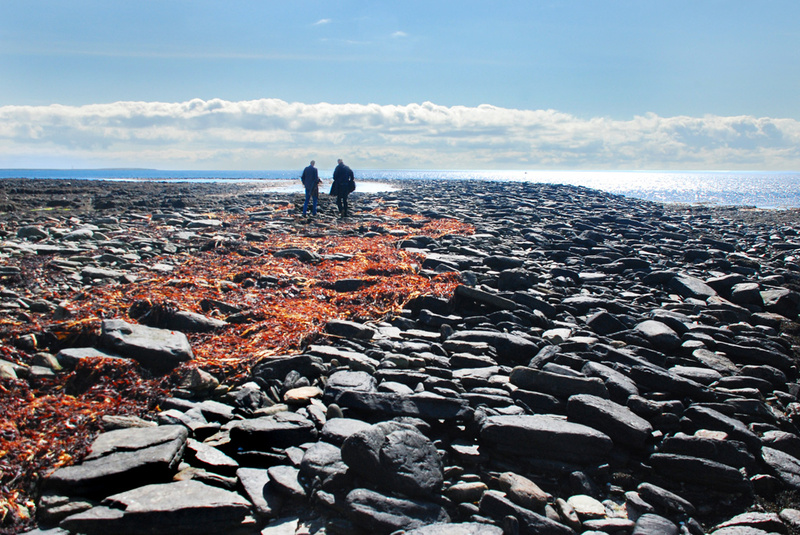 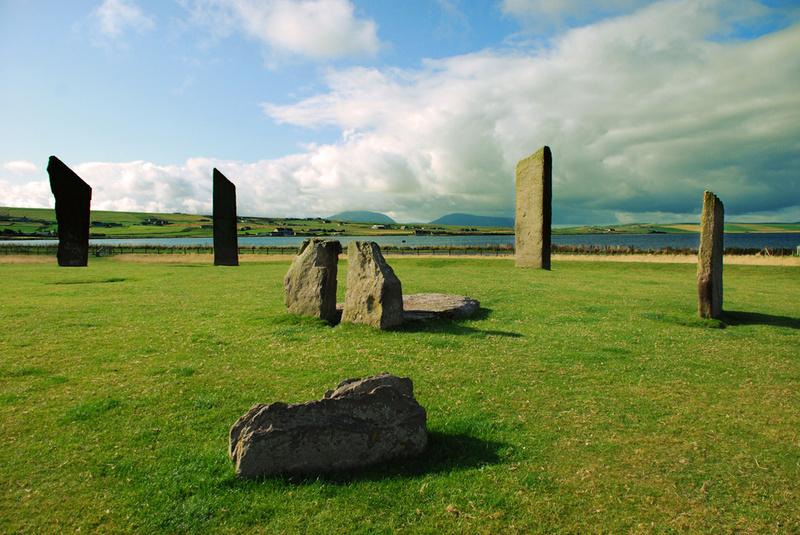 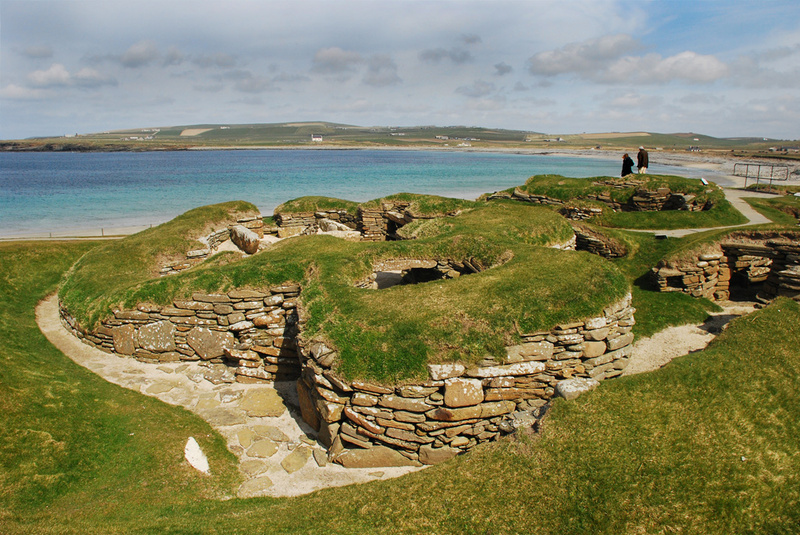 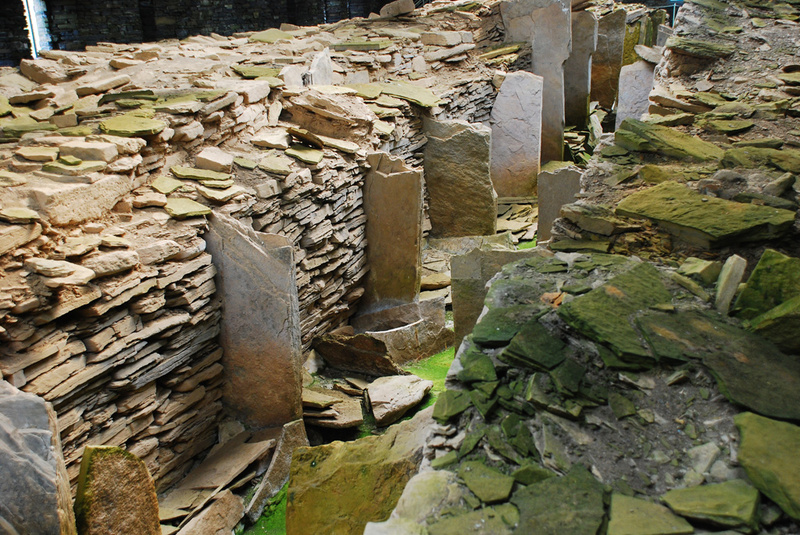 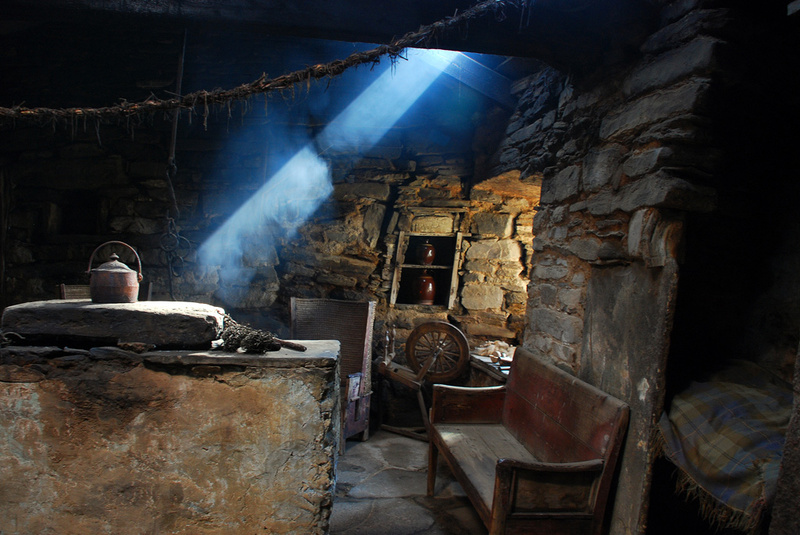 The West Mainland includes the World Heritage archaeological sites of Skara Brae and Maeshowe and the stone circles of Stenness and Brodgar, but just about everywhere in Orkney is a potential link to the past, and each year sees a new summer season of discovery and excavation. 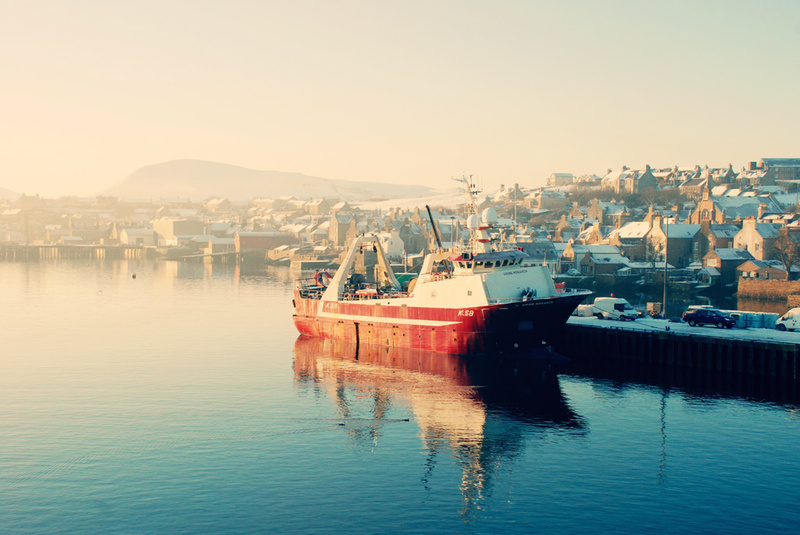 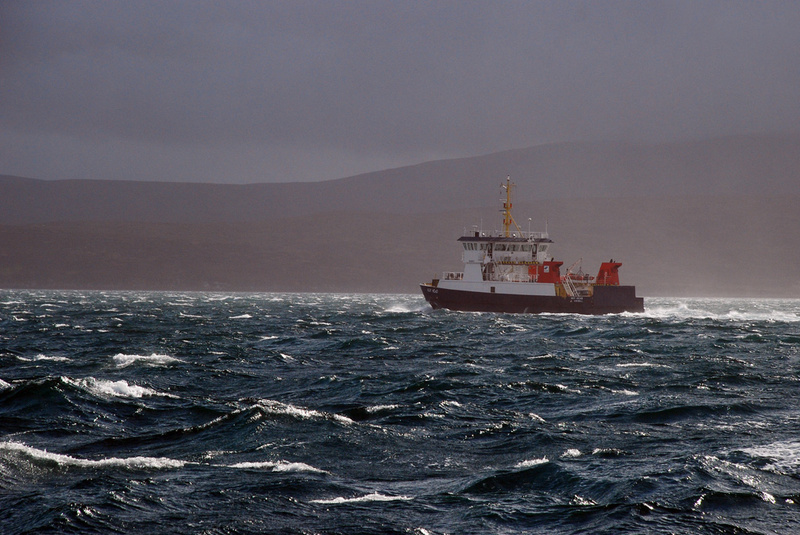 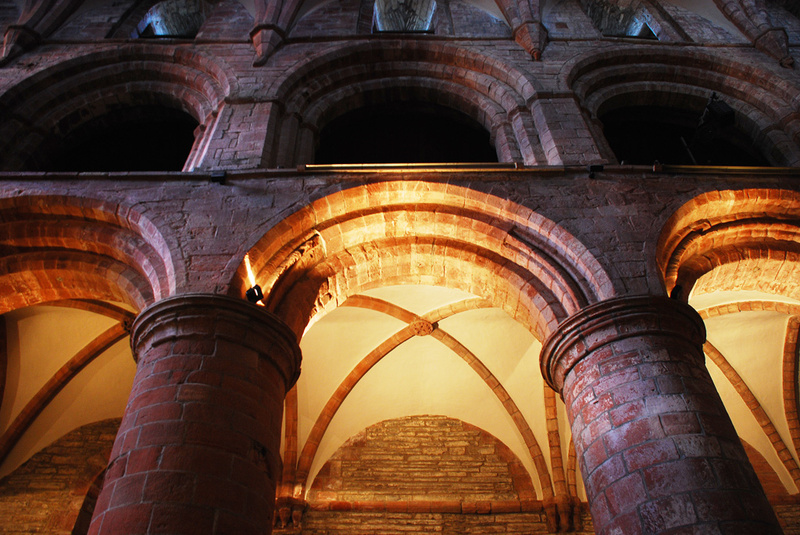 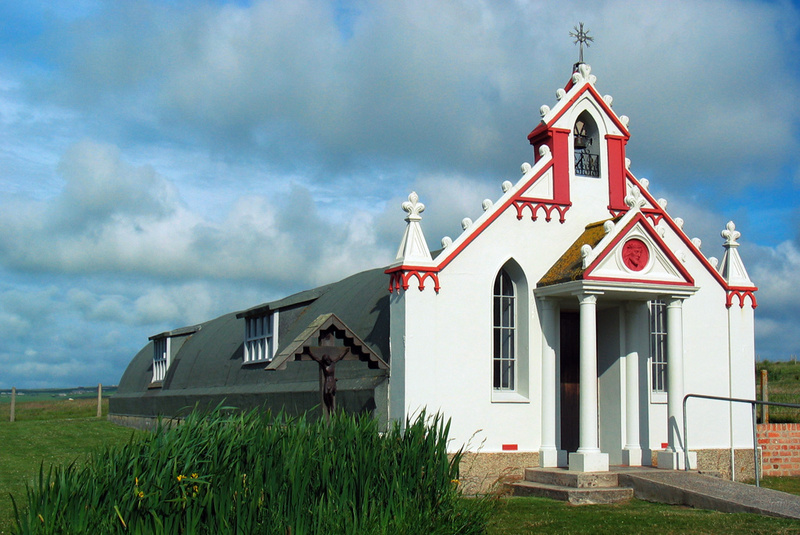 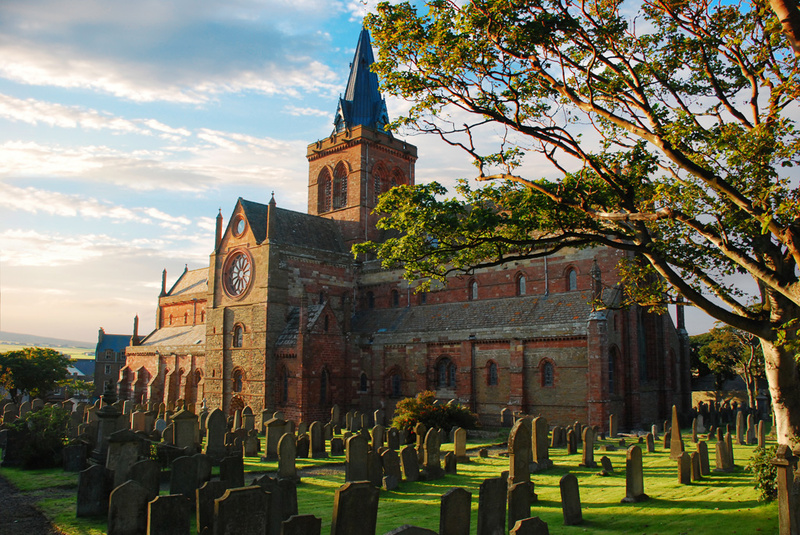 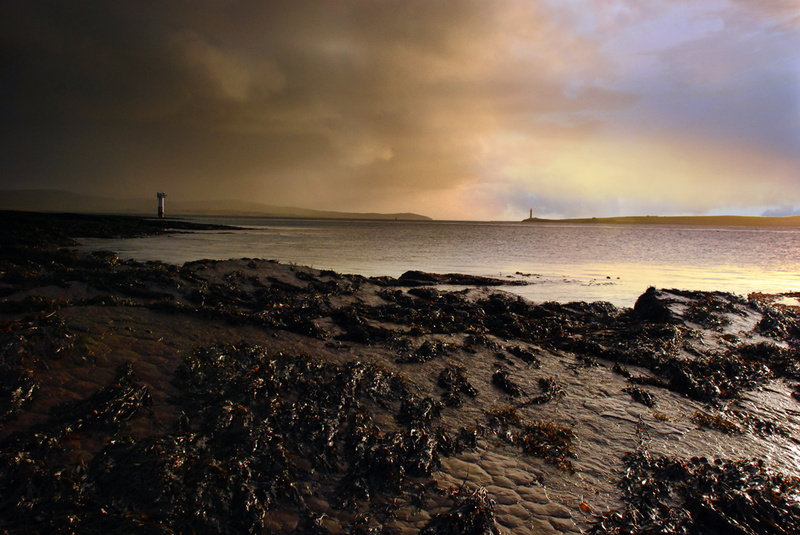 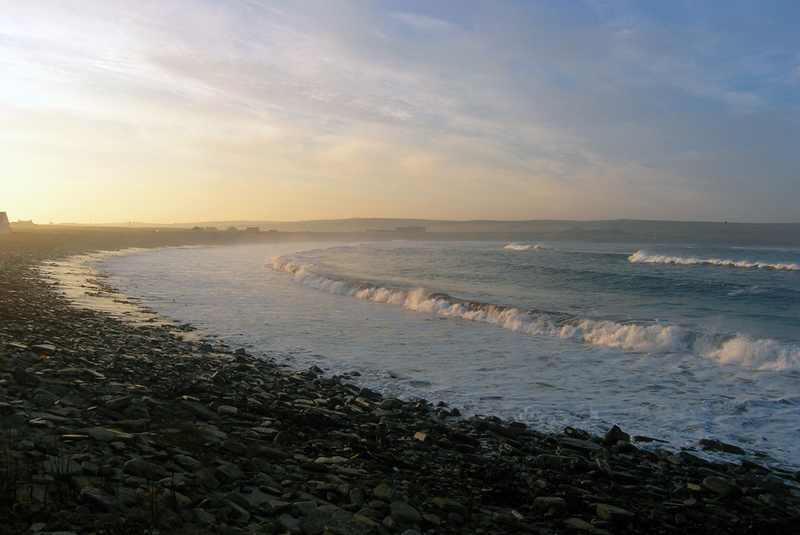 In the centre of the capital of Kirkwall is the red sandstone of St Magnus Cathedral, and Stromness in the west, once the port for the Hudson’s Bay Company’s ships, is today the home of the Pier Arts Centre and developments in wave and tidal power. 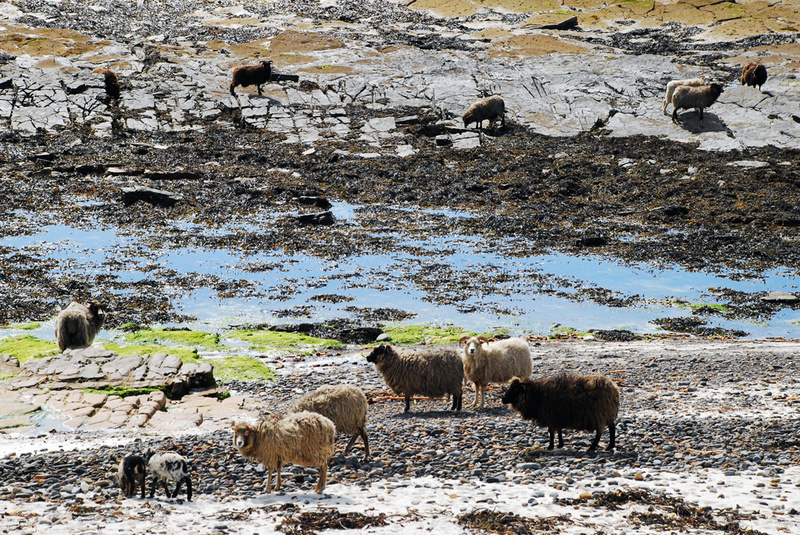 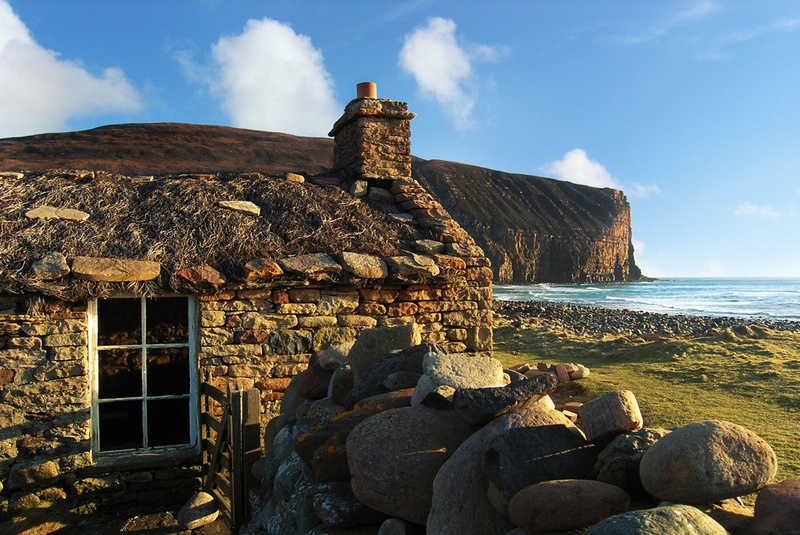 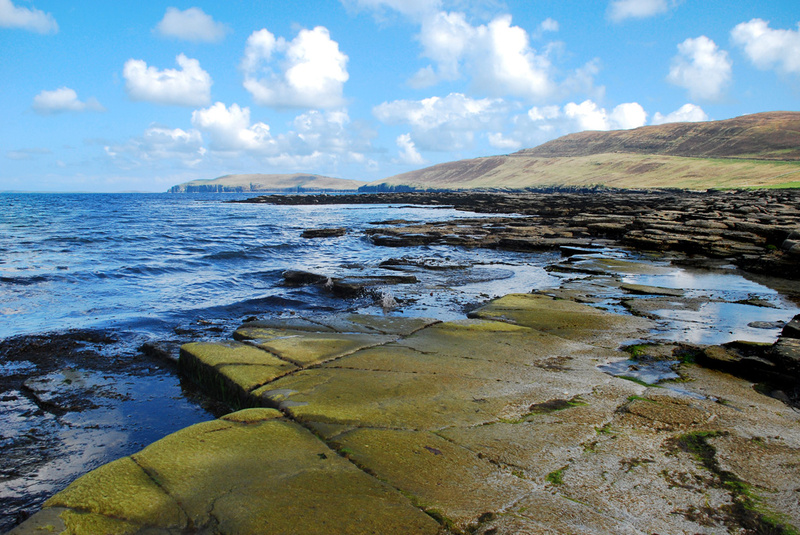 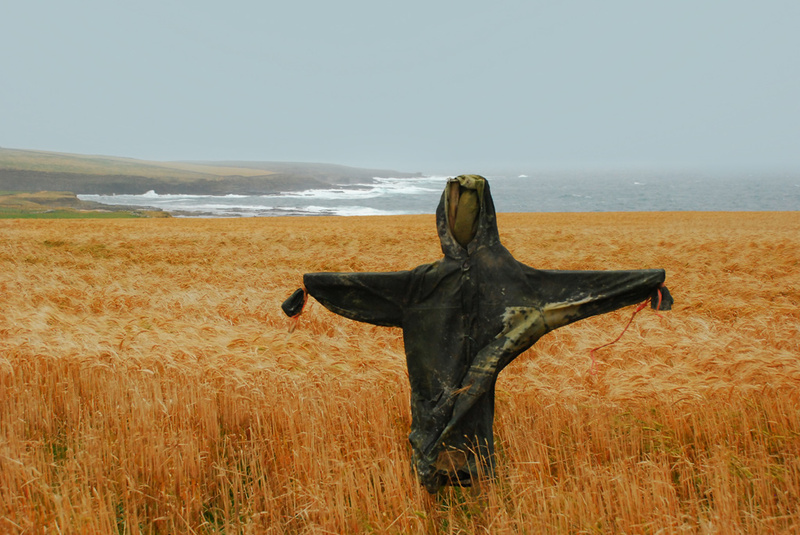 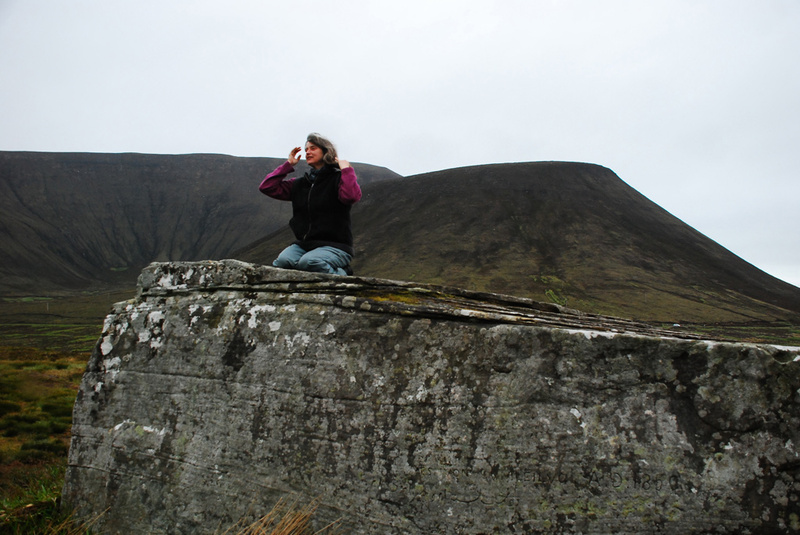 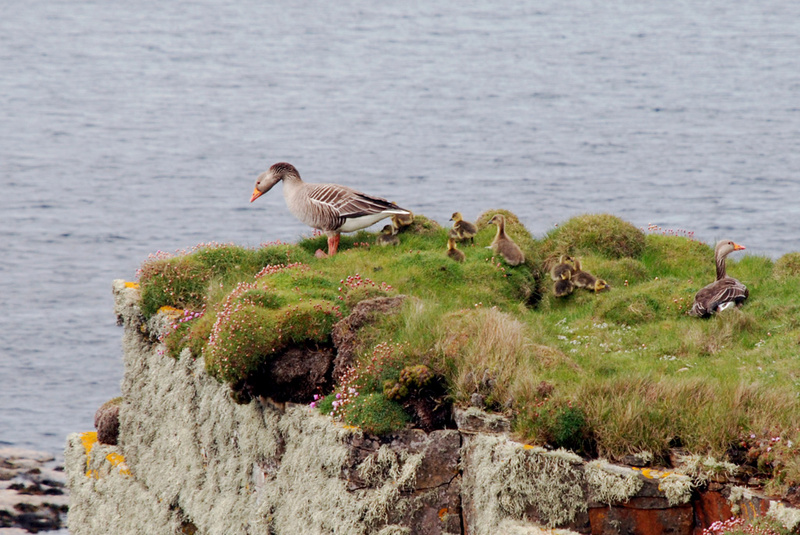 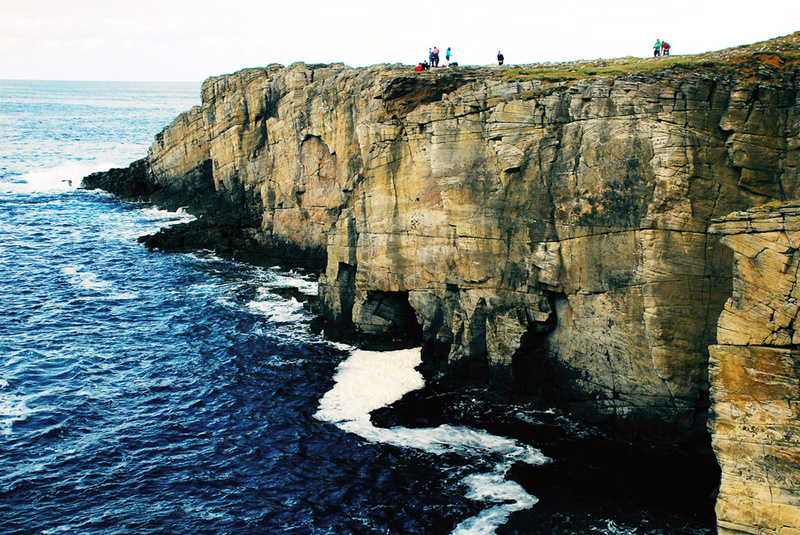 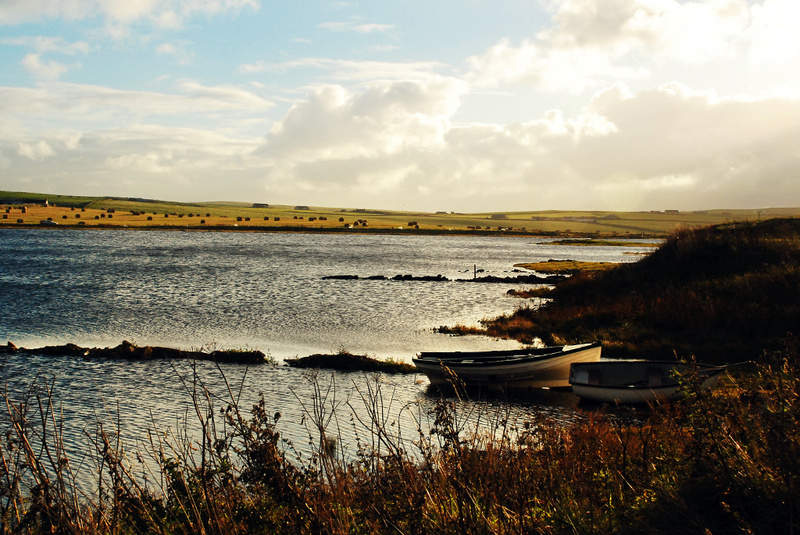 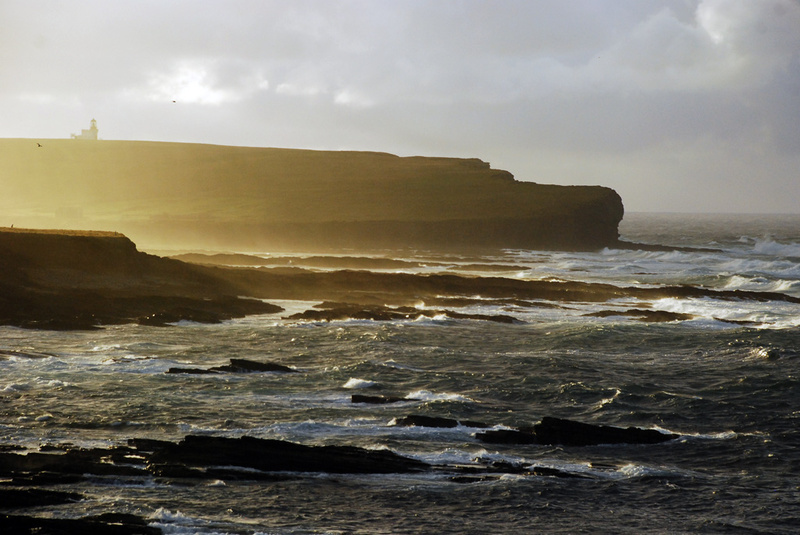 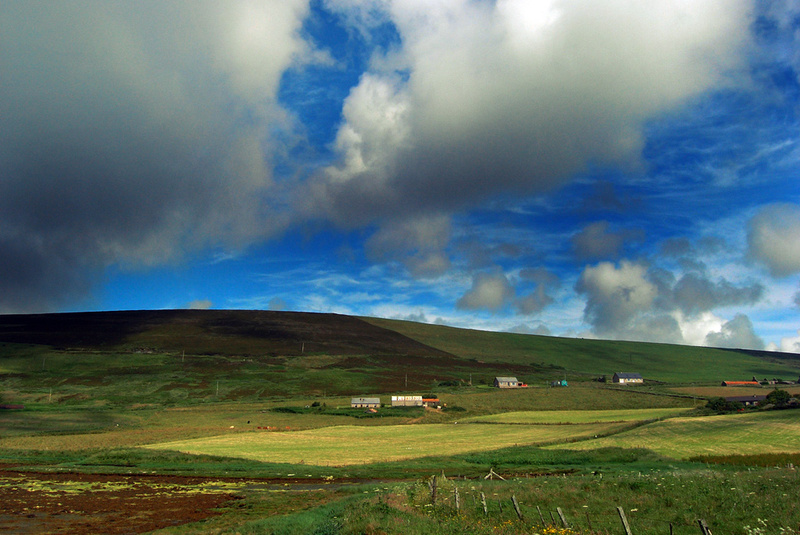 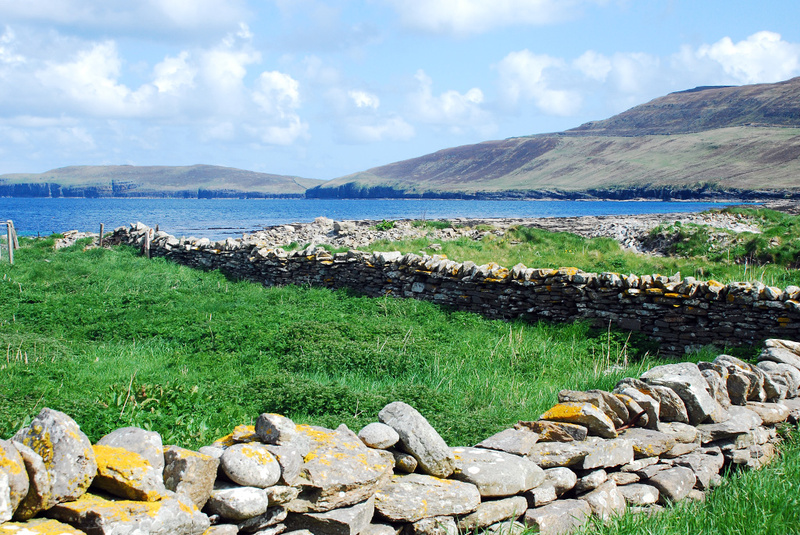 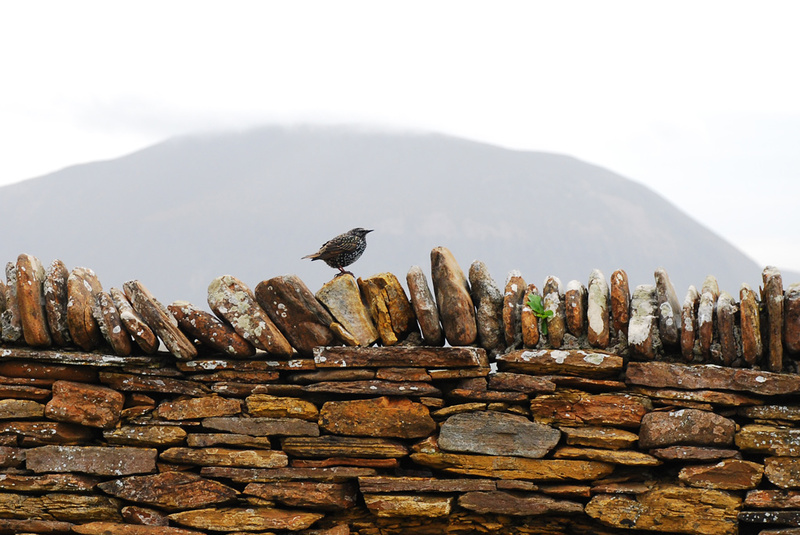 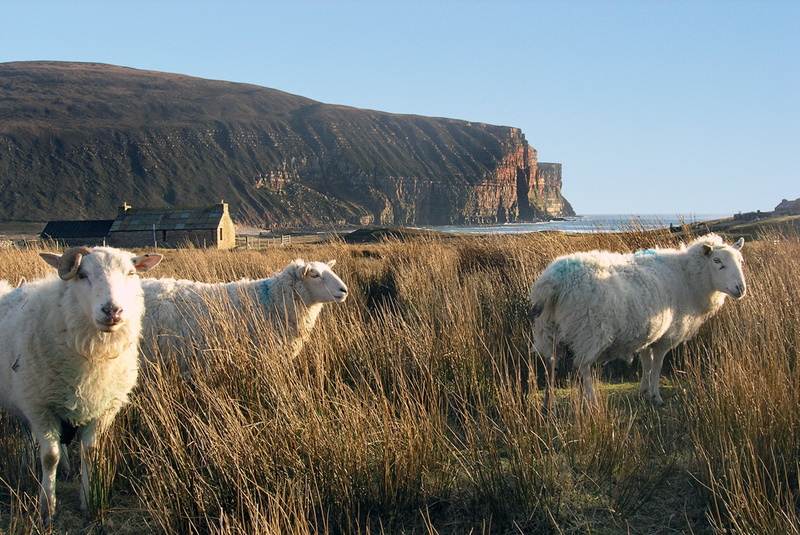 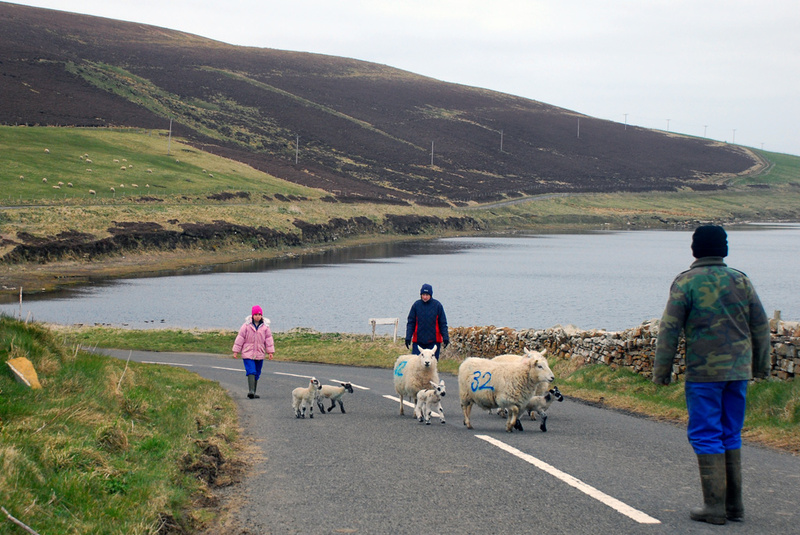 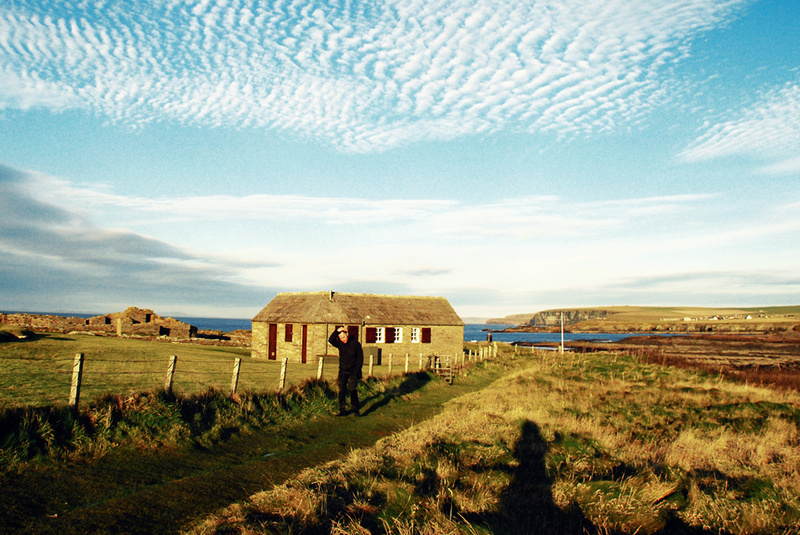 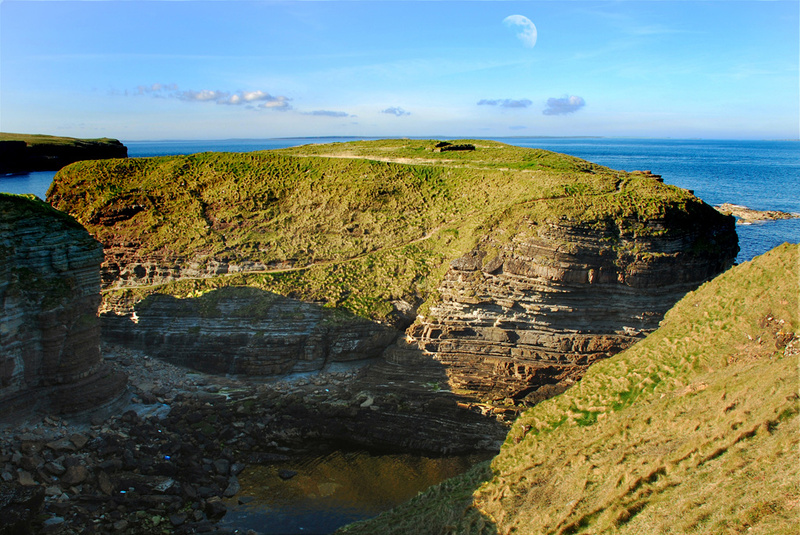 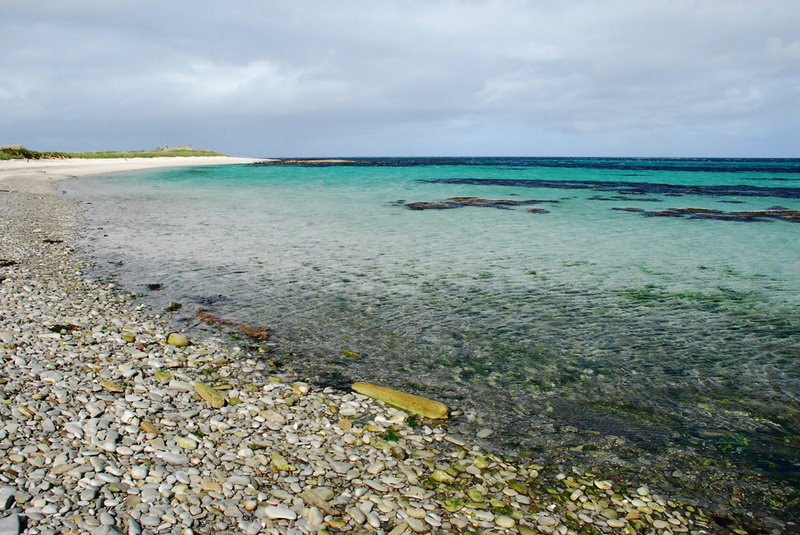 The island of Hoy is Orkney’s finest walking country, with the route between the hills going to the valley of Rackwick, where a burn runs into the sea on a beach facing the open Atlantic, guarded by high cliffs. 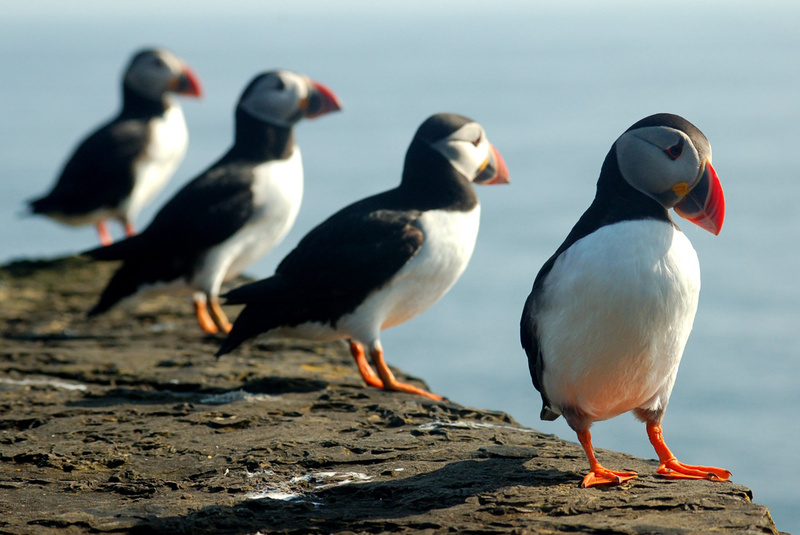 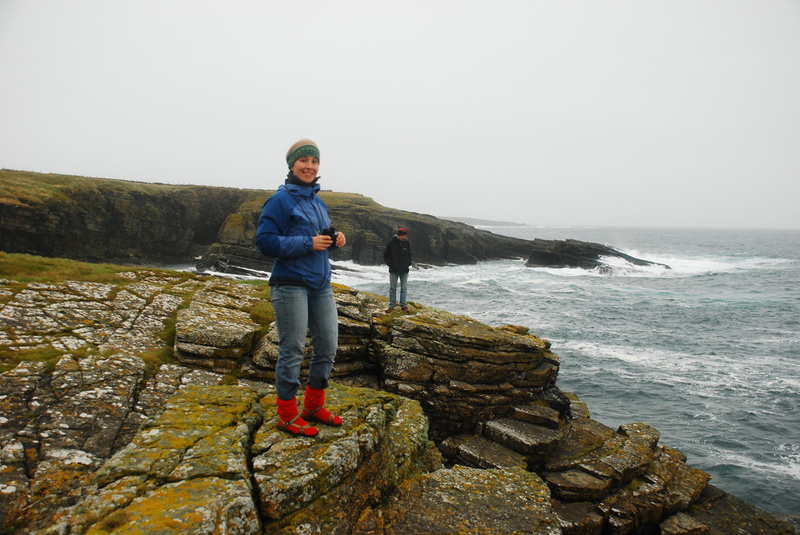 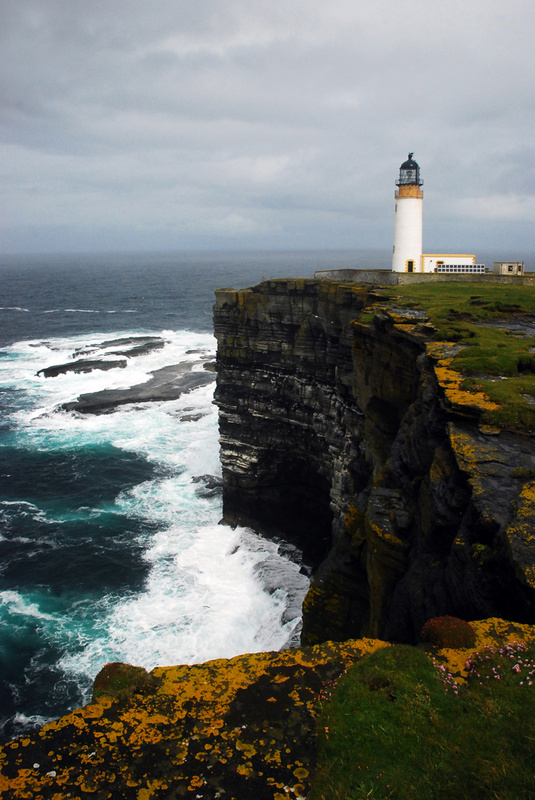 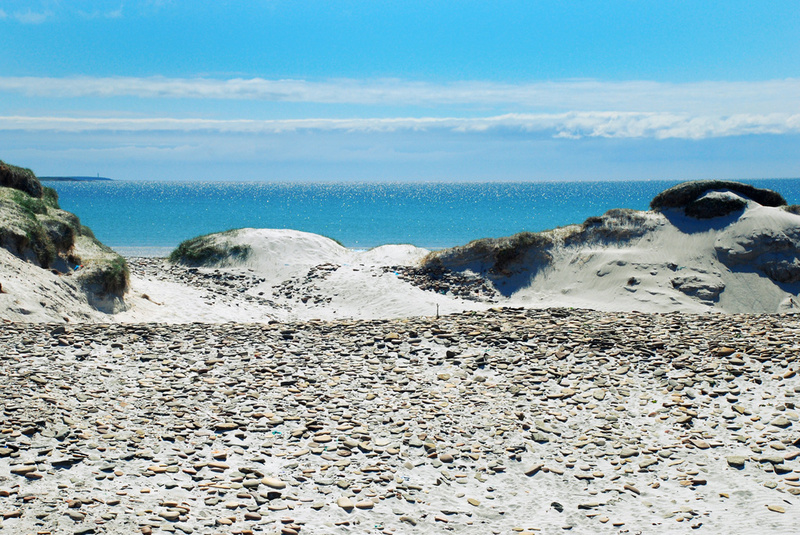 “There are sandy beaches too in the North Isles, great arcs of shell sand in Sanday and Stronsay, and in Westray where the cliffs rise up to Noup Head with its lighthouse. 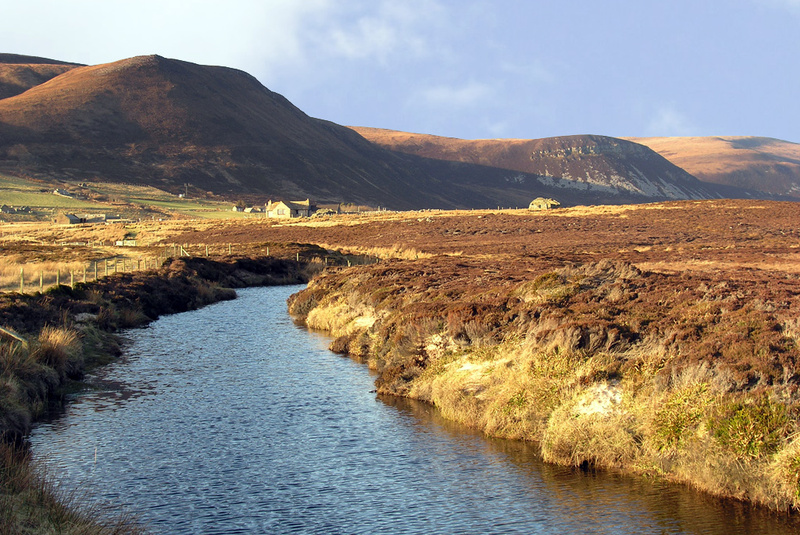 “The hills of Eday once produced peat for Scottish distilleries. 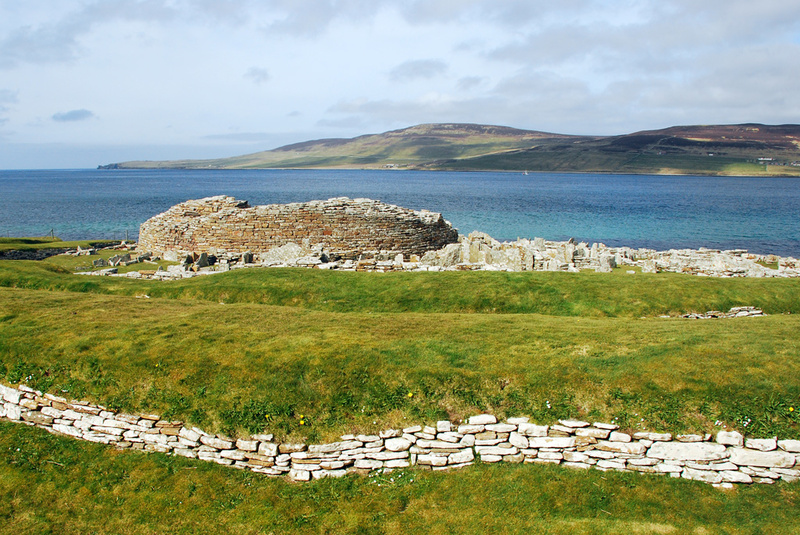 Rousay’s central hill ground rises steeply too, while on lower ground there is a group of chambered cairns from neolithic times. 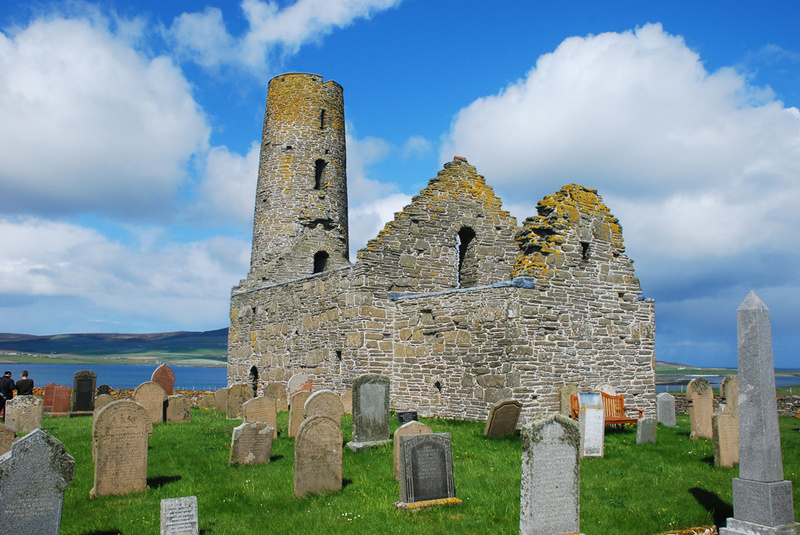 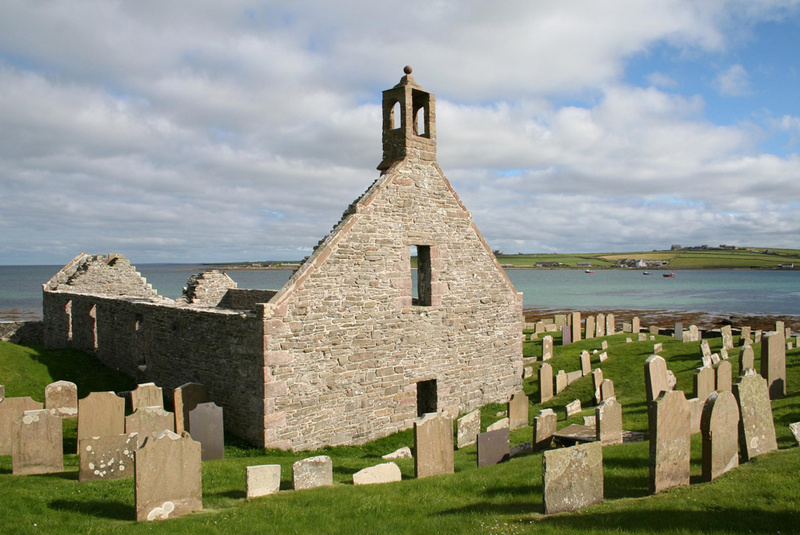 In neighbouring Egilsay is the ruined church with its round tower, where once St Magnus came. 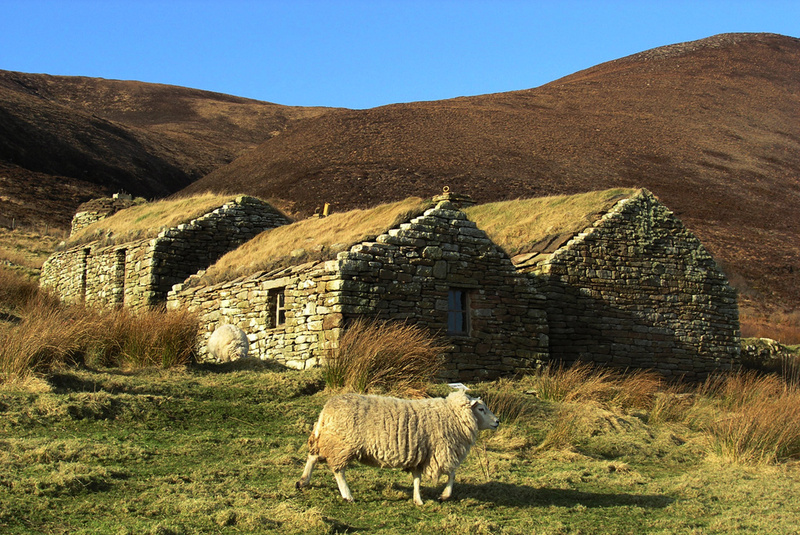 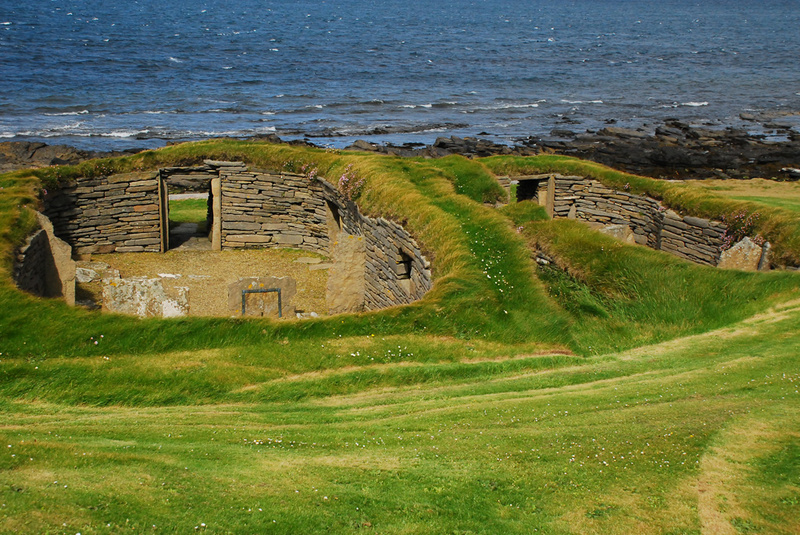 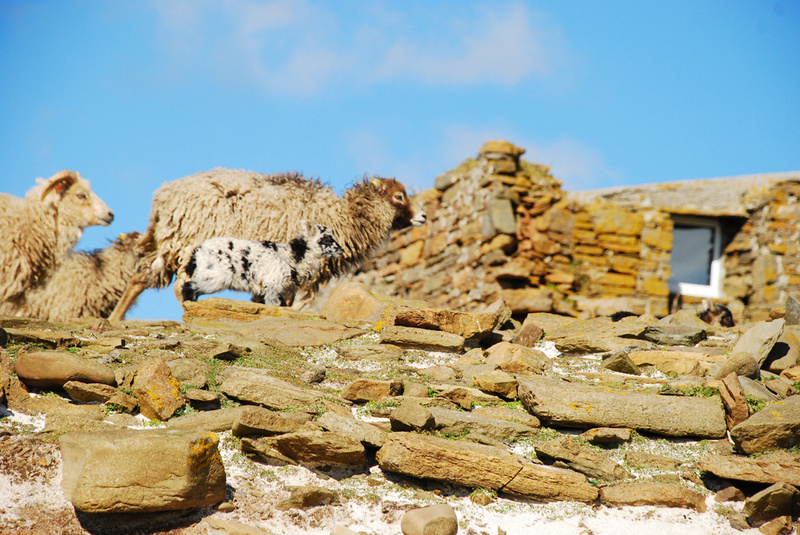 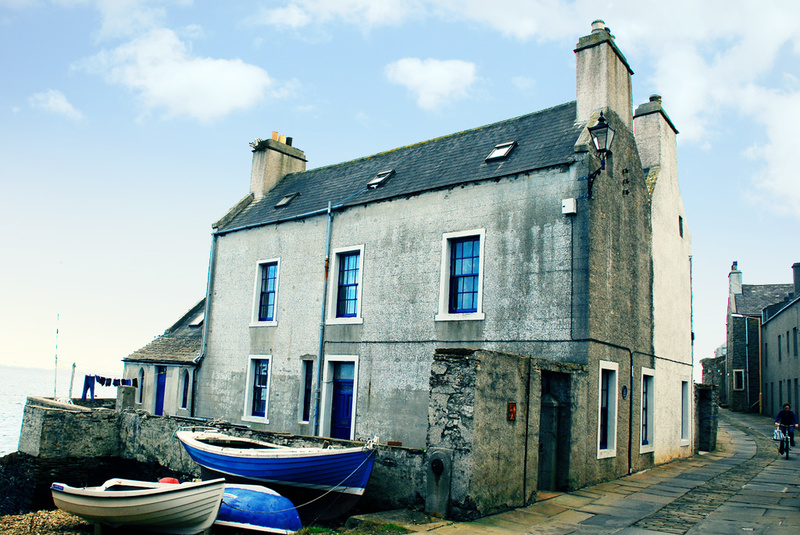 “North Ronaldsay with its native sheep is reached by air, while in the south are the islands of Scapa Flow, with Flotta in particular retaining a strong presence of wartime buildings.